ATLANTIC CITY, december 8 2016- Wilbur Ross became rich investing in faltering businesses like steel mills and coal mines, finding a fortune in blue-collar industries that others dismissed as beyond saving. But before he was scooping up Rust Belt factories, the banker was sizing up another troubled asset: Donald Trump. More than two decades ago, Ross represented bondholders who were gunning for Trump after he failed to pay back the high-interest loans he had taken out to build his casino empire. When Ross arrived in Atlantic City, N.J., for negotiations in 1990, he found a throng of journalists and curious onlookers eager to catch a glimpse of Trump, according to “The Vulture Investors,” by Hilary Rosenberg. For the quiet Ross, the scene inspired a revelation: Trump’s flashy image had resilience. Ross embarked on a strategy that helped Trump avoid a personal bankruptcy that could have derailed his unlikely trajectory from real-estate mogul to reality television star to president-elect. Consider it another investment that has paid off for Ross, whom Trump recently tapped to lead the Department of Commerce. A private equity billionaire who once led a secret Wall Street fraternity, Ross is among the rich, loyal insiders Trump picked for a Cabinet that is shaping up as the wealthiest in history. If confirmed by the Senate, the 79-year-old veteran investor will spearhead trade policy and business development in the new administration. Ross, however, once spared Trump. The future president-elect at one time owned a quarter of Atlantic City’s casino market. But Trump was heavily in debt, and he started missing bond payments on his — and Atlantic City’s — largest casino, the Taj Mahal, in 1990. Ross, then an investment banker working for Rothschild Inc., helped bondholders negotiate with Trump, whose finances were unraveling. 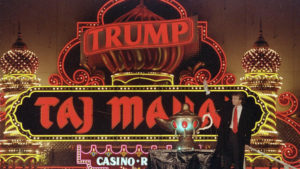 The final deal reduced Trump’s ownership stake in the Taj but left him in charge, and bondholders were unhappy when Ross presented the plan. “Why did we make a deal with him?” one asked, according to Rosenberg’s book. Ross insisted that Trump was worth saving. “The Trump name is still very much an asset,” he said. Trump himself proved to be less of a sure bet. Though the agreement allowed Trump to soldier on in Atlantic City, his casinos landed in bankruptcy court twice more. The president-elect respects Ross’ deal-making skills, said Jason Miller, the communications director for Trump’s transition team. Ross grew up in New Jersey and attended a Jesuit prep school in New York before earning degrees from Yale and the Harvard Business School. He spent two decades at Rothschild working on bankruptcies before starting his own private equity firm, WL Ross & Co., in 2000. At the Commerce Department, Ross would oversee a portfolio containing responsibilities as diverse as weather research and promoting minority-owned businesses. However, with Trump in the White House, foreign trade likely will be the issue that gets the most of Ross’ attention. Trump has promised to remake free-trade deals. The department has wide latitude to determine when other countries are violating trade rules, experts said, allowing U.S. officials to slap tariffs on imports or find loopholes in international agreements. 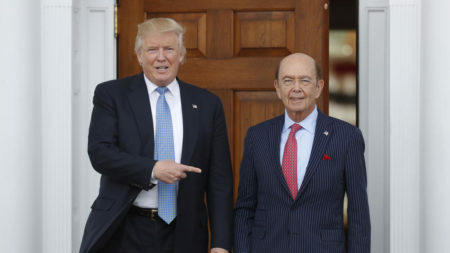 The Trump administration won’t rush toward tariffs but wants to renegotiate some deals, Ross told CNBC after he was tapped by Trump. “We’ve been doing a lot of dumb trade,” he said, echoing Trump’s campaign-trail rhetoric. Trump’s pronouncement that companies that leave the U.S. will face a 35% tariff on goods they want to sell domestically has been met with a tepid response from his fellow Republicans. GOP leaders on Capitol Hill suggested this week that they would not go along with such a proposal, though they emphasized that they would wait to hear exactly what Trump had in mind. Even Trump’s vice president-elect, Mike Pence, deflected when asked repeatedly on MSNBC whether he agrees with the proposed tariff. Ross, though, helped formulate Trump’s economic policies, which include tax cuts, reduced regulations on energy production and privately financed infrastructure spending spurred by tax credits. “Donald Trump continues to choose very well for America,” Navarro said. A report from Moody’s, however, predicted that Trump’s plans would lead to a recession, while the Tax Foundation projected that deficits would increase, conclusions that Navarro and Ross have dismissed. House Minority Leader Nancy Pelosi (D-San Francisco) slammed Trump’s choice of Ross. Democrats have no power to block his eventual nomination. Her reference to worker safety was particularly damning. Ross’ private equity fund bought financially troubled coal operations several years ago, and in West Virginia, one of them, the Sago mine, suffered a collapse that killed a dozen people in 2006. Miller defended Ross’ response to the blast, noting that Ross raised money to help families of the victims and invested in better mining safety. Ross’ record with steel companies is less controversial. Under the banner of the International Steel Group, he acquired mills on the verge of being shuttered when their owners fell into bankruptcy. 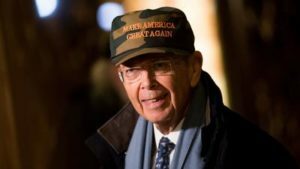 The company became the largest producer of steel in the country, and Ross sold the operations for $4.5 billion two years after he entered the industry. Despite his Wall Street background, Ross had a good relationship with labor. Leo Gerard, president of the United Steelworkers, said that his exchanges with Ross weren’t “peaches and cream,” but he was open to workers’ concerns.